There's a secret camp where only the children of royalty are invited to every year. There, they get to make friends with other princes and princesses from kingdoms all over the world and learn the skills required to be a proper princess. Across the lake is Camp Pop, a camp for the children of pop stars. They come to Camp Pop to hone their pop star skills, learning various intruments and trying out different musical genres. The two camps have enjoyed a less than friendly rivalry for years. 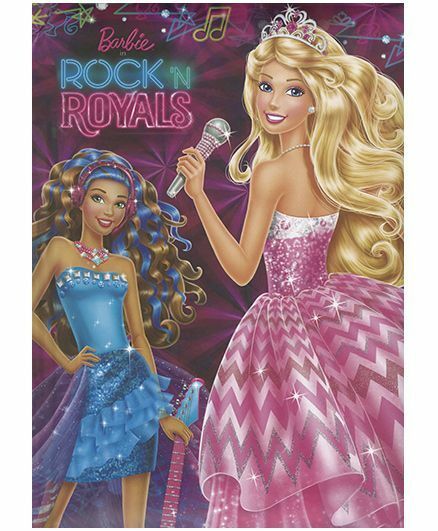 The princesses all sing a capella in a prim and proper way while the pop stars like to rock out with their instruments. This year, due to a clerical error, (Barbie), a princess ends up at the pop star camp and, a pop star ends up at the princess camp. While the leaders of each camp attempt to sort it out, both girls are forced to stick it out and soon discover how the other camp is.